The Sydney Metro West has officially been announced by Transport NSW. 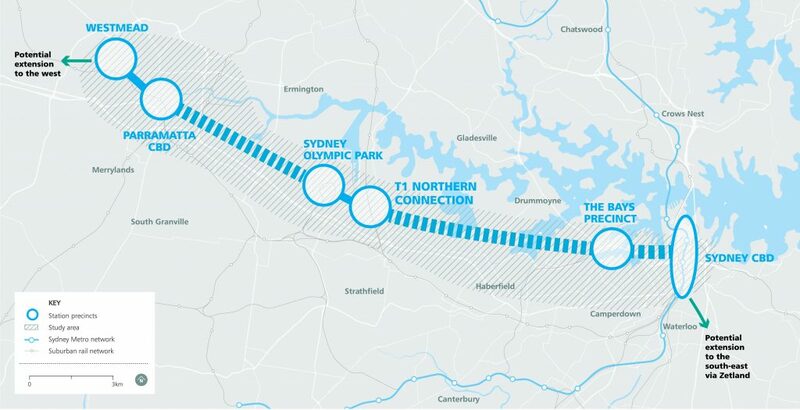 This will consist of a new metro line with several stations however at this stage only 4 stations are known, one of which will be a city Sydney metro station (possibly Barangaroo), one new station at The Bays Precinct, one station at Sydney Olympic Park and finally a station at Parramatta. 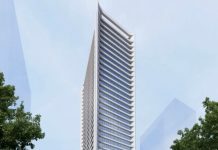 This project is not expected to break ground until at least 2022 and will not be ready until 2027 will is 10 years away. 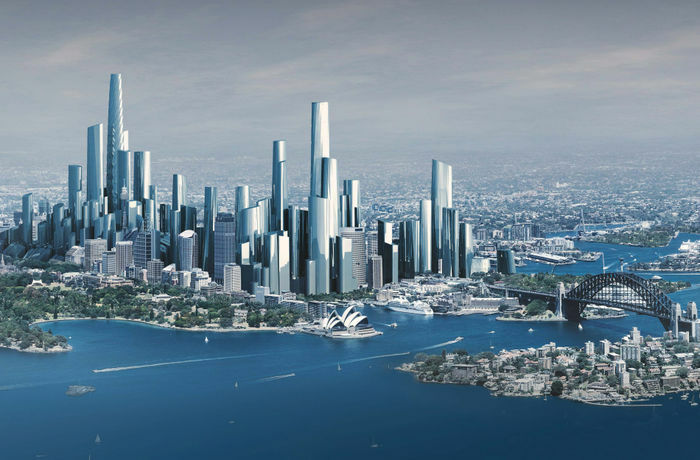 This transport will be sorely needed by then as Sydney’s population is expected to grow by roughly 100,000 people per year up until the year 2027. It is expected that the Sydney Metro West will have a peak capacity of handling 40,000 passengers per hour in each direction. 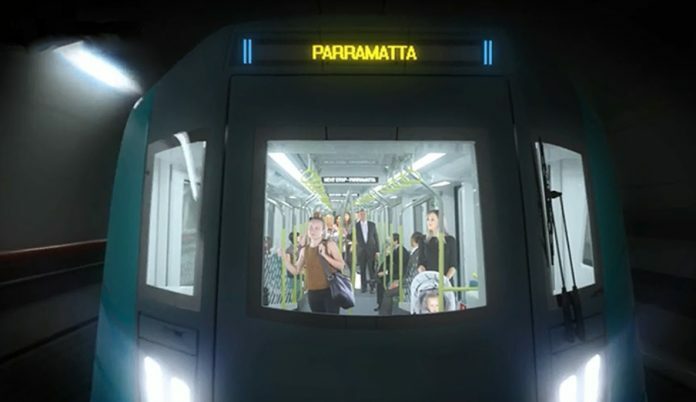 This is close to the current capacity of the T1 Western line from Parramatta to Sydney meaning that this new metro line will almost double capacity in the Parramatta to Sydney corridor. 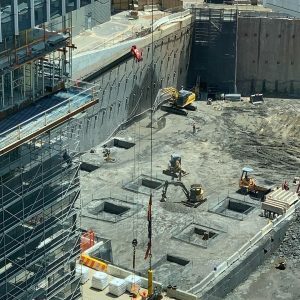 Sydney Metro West will complement the current Sydney Metro project which is under construction with stage 1 expected to be open in 2019 & stage 2 expected to open by 2024. 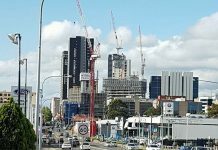 There has been reports the expected Parramatta Light Rail project might not go through as expected as the Sydney Metro West will run through the same area and could handle much more passengers as it will be a heavy rail solution as opposed to the Parramatta Light Rail’s light rail solution. 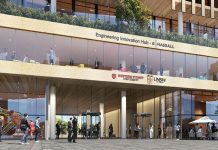 The Sydney Metro West will make it very easy to do business along its corridor as it will speed up travel times from the Sydney CBD to the Parramatta CBD again making Parramatta more attractive to potential employers. 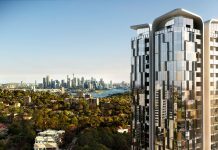 It will also extend Sydney’s economic corridor along the Parramatta Road corridor making it even more viable to further develop Parramatta Road as a luxury, well-connected urban residential community. 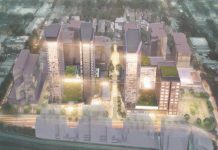 It will extend Sydney’s economic corridor along the Parramatta Road corridor making it even more viable to further develop Parramatta Road as a luxury, well-connected urban residential community. at least one Sydney Metro West station under the Sydney CBD, delivering an easy interchange between suburban rail, new light rail and the new metro stations currently under construction. It is also proposed that Sydney Metro West will have an underground interchange with an existing suburban station on the T1 Western Line either at Parramatta or Westmead, allowing a fast and easy interchange to metro rail services for customers heading to and from the outer west and Blue Mountains. 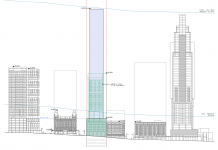 The NSW Government will also safeguard the ability to extend Sydney Metro to the south-east of the Sydney CBD via Zetland, serving the Green Square town centre, as well as towards the west beyond Westmead – where one option would be to the new Western Sydney Aerotropolis. 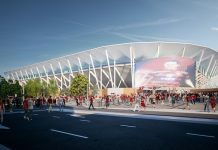 The information on the update has been directly sourced from the Sydney Metro West project website.